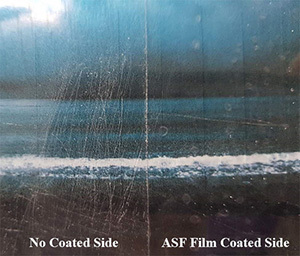 ASF series will protect your image for the outdoor application. 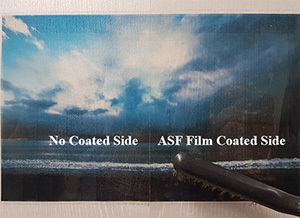 You can laminate it with any printed material for the flat surface. It has 3H hardness + Hydrophobic Function + Self Cleaning Function.